Renee of Wolfie and the Sneak wrote in this morning singing the praises of Ply Textiles, a Chicago-based etsy store that she fell in love with. 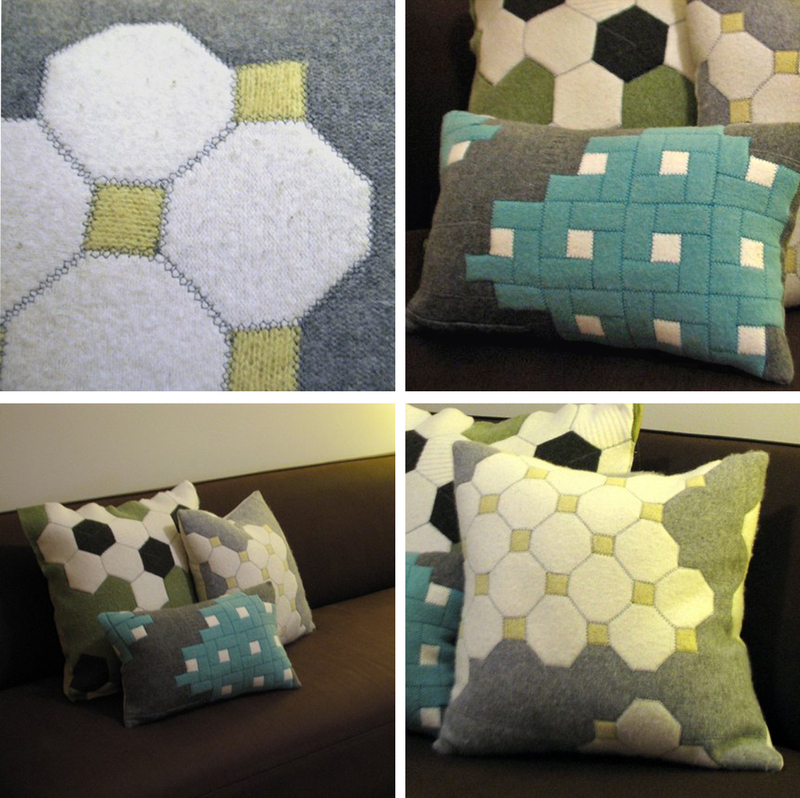 These beautiful pillows are made from recycled wool sweaters then felted and hand sewn together. Wholesale orders welcome! The shop is quite small, but the pillows Ply carries are very unique and the colors are fabulous for the modern home. Renee thinks decor8 readers will really like 'em and so do I, so click here if you're interested. They're priced right at around $65. Thank you Renee for the tip! decor8 Reader Spaces: Samantha + Grant in Malm?